Listen To The Birds Sing: An Irish Road Trip: Giveaway greetings! Would you like to see what's inside the pot? So....the big question...what do you have to do to win this crock of gold? Well, actually nothing really... This giveaway is only for you if you follow me either here on this blog, or on pinterest, or on facebook... so, if you are one of the long-suffering, very nice followers, I just would love for you to leave me a wee comment & let me know .. thats it... The giveaway will be open until 12th April & I'll announce the winner on 13th.... so good luck everyone. If you are a follower, please just do a wee check before you leave me a comment to make sure you are not a "no-reply" blogger, otherwise I might have a bit of difficulty contacting you. I'm a follower...yay! I love that teacup fabric too! What an awesome give away! Your trip looked fabulous!! My mother and her family are Irish so that makes me half at least! One place I've never been. You took some great pictures. Its been a really lovely road trip, and thats an amazingly generous giveaway! Very nice giveaway. I am a follower here on the blog. Thanks! Very generous giveaway! Enjoying your blog posts. I do follow your lovely blog and love green, so generous a giveaway. 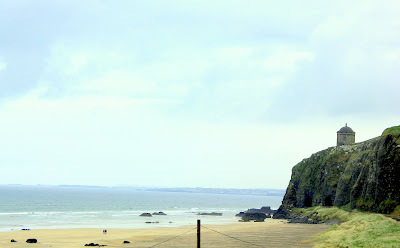 I love your photos of Ireland, it is so beautiful. Hi, I'm a follower,love the giveaway! 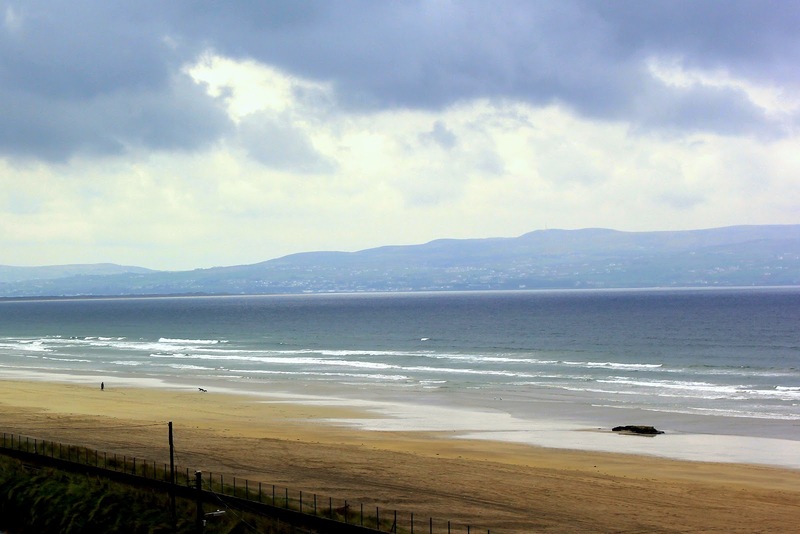 I follow your blog, and I'm going to visit Ireland in June. I can't wait! What a generous and beautiful giveaway! I am a happy follower, of course. Oh wow, I am so jealous of your beaches - beat the pants off the pebbles around here! Oh I love to look at the sea where ever in the world I am. Spring greens and cake.... A healthy mix? Yup I'm a follower! Though even looking at the book makes me feel naughty! Haha! The fabrics are a great tribute to the green of Ireland! Hopefully there'll be sun before the holidays end! Oooh, lovely fabrics! I follow your blog and I'm pretty sure I follow you on Pinterest! I'm a follower and I'm hoping your weather will improve when we come over in July! Thanks for the road trip - it's been great! Gimme gimme gimme!! :-) Well, the weather down here has been a bit unusual as well. We had a very poor attempt at summer, rain for most of it. March was quite cool and then since last week we've had mid 20's again. Normally in April I've got the heater out already. Ah well, our world has changed! I love your beach photos! This is a great giveaway - the fabric is lovely and those recipes look delicious! AVOCA!! I L-O-V-E Avoca. Wish we had one here in the states (actually, there is one in Maryland but that is on the opposite coast). 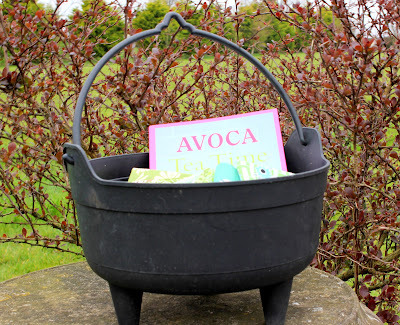 We visited every Avoca we saw when we were in Ireland. Love the green fabrics too!! What a lovely giveaway. Hi Karen, thank you for the wonderful road trip you've been doing. 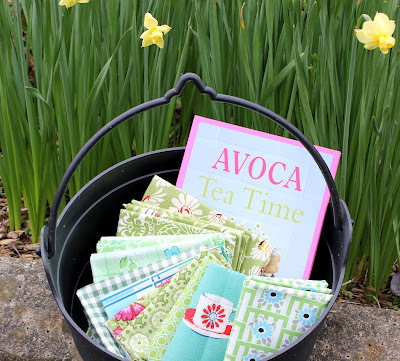 I visited the Avoca shop in Wicklow two years ago and loved it, must go back there this summer. Hope you have a lovely Easter and that the weather improves. tried your pinterest link and getting a 404 error message. What a beautiful beach!! Thanks for the chance to win that lovely pot of 'green' goodies! Yay - I'm already a happy follower!! 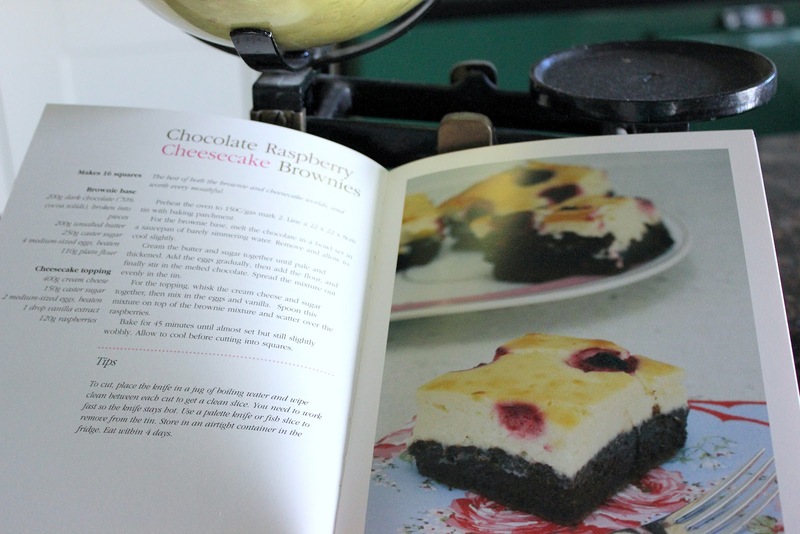 I'm drooling over the recipes you've shown... Nice book! Yum. I have my fingers crossed for this pot'o'gold as these fabrics/colours are just my thing! Thanks for the chance. 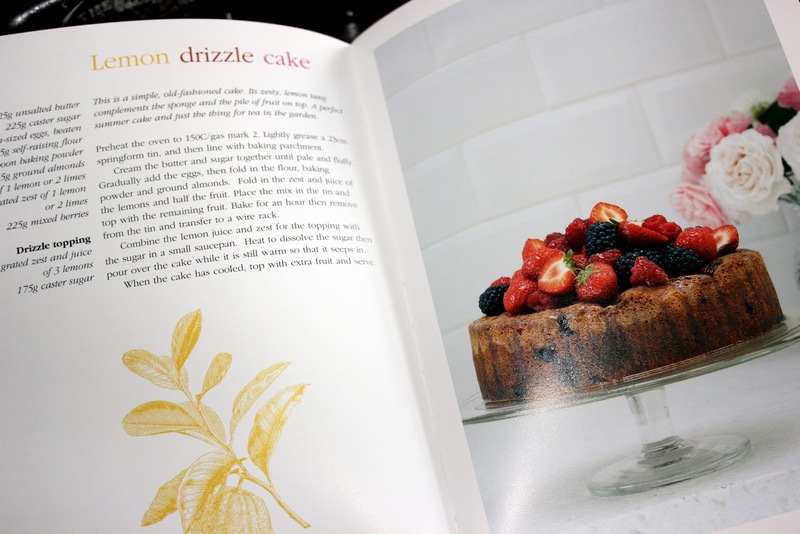 And where was that book back when I was pastry chef at an Irish restaurant? 40 shades of green! What a beautiful sight! :-) Thank you for the chance to win! I am a new follower! Wow this is a very generous giveaway! I'd like to make my mom a green patchwork apron for Mother's day (her fave color is green). Would love to win! I am a follow of your blog through RSS. Thanks so much for the chance to win this "treasure". It is a fabulous prize pack!! 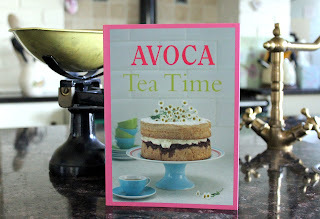 I was flipping through those books in Avoca a couple of weeks ago though, very nice! Karen - I love that beach photo. You really do live in the most idyllic place. Fabric, cakes? What`s not to love. I`m a very happy follower - thanks for a wonderful giveaway! Karen, I have loved your road trip, visiting old friends and new. Thank you. I am a long time follower. And huge thanks for these wonderful giveaways. The chance to win is appreciated. Wow, beautiful pic. thanks for letting me enter! I follow. I'm a follower now and looking forward to more Irish road trips! I have been to Ireland twice and although the pictures are lovely (and warm my heart) they can't top the real thing. Oh swoon! what a lovely pot of gold!! I am hoping to do some baking tomorrow in preparation for a family Easter celebration. This is the perfect giveaway for me to win. My mother wants to make a quilt from a pattern she received for her birthday called Field Greens - it calls for oodles and oodles of green fat quarters. Of course, I'm the hexagon queen and would love to make some pot o' gold double hexie flowers for my grandmother's flower garden quilt (a queen-sized). Thanks for the chance from each of us! I am a new follower. I hope that counts! Lovely pics! I am new to your blog and have signed up on FB to hear more about your travels--looks heavenly over there! Thanks for the gorgeous giveaway and for sharing your story.. I am a follower!! Thank you for the giveaway. Nice giveaway! I'm subscribed to your rss feed. I am a follower, what a fabulous giveaway! Thanks so much. Such a beautiful pot of gold and what an equally lovely blog you have! I'm a new follower. Thanks for the great giveaway! Thanks for sharing your road trip! I am a new follower! Thank you for this wonderful giveaway and what a great trip! I am a follower. I love the giveaway. 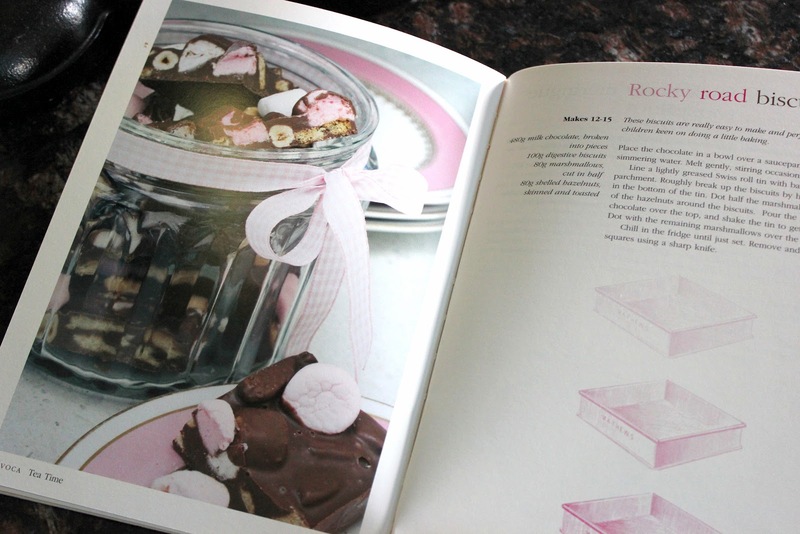 The teacup fabric is so cute and I am always up for some new recipes. The fabrics look tempting and so do the tea time treats. I am now following your blog, following you on pinterest and on facebook. Your giveaway looks fabulous, as does your trip. I look forward to reading more about you. i follow you on pinterest. great idea for the giveaway - the different colors of green & all. those recipes look scrumptious! e-mail. Thanks for the chance to win!!! This is an incredible give=away. Thanks for the chance to win. I love this fabric AND the book :) I'm now a happy follower of your blog, pinterest and on facebook. Love the giveaway too. I'm a follower to your blog via GFC. Wow, I love those fabrics! thanks so much for sharing this giveaway! I'm a new follower on your blog - I'm looking forward to your posts. 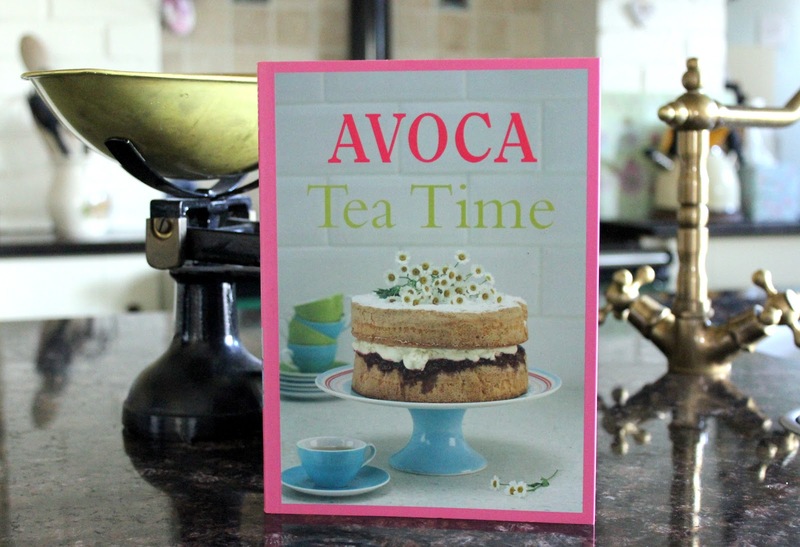 I love to bake as much as I love to sew so this is the perfect giveaway! Thanks for the chance to win! I'm a new blog follower & also following you on Pinterest. Thanks for the chance..that's a fantastic prize. 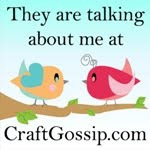 Hi Karen I'm a follower, love following fellow Irish blogs, would love to be included, hope I'm not too late. Beautiful prizes!!!!!! I am a new follower. I enjoy your trip photos and the quilts you have been making. Thanks for the giveaway. 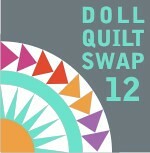 I am a blog follower and love the fabric in your giveaway. Thanks for hosting! What a nice trip you had! I've been there and would like to go back. I'm a follower....thanks!